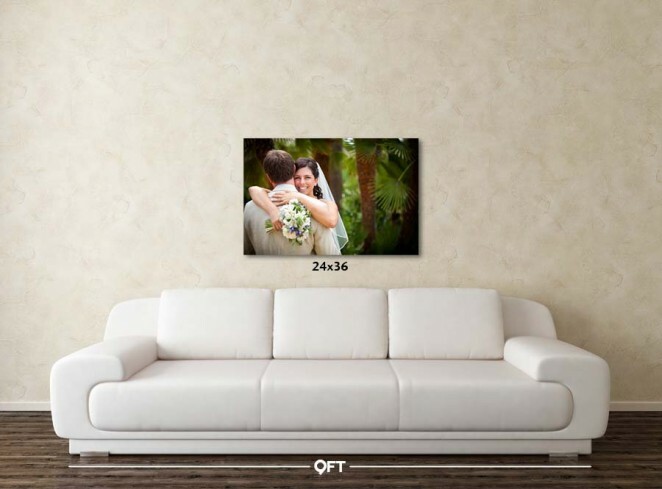 Turn your wedding and engagement photos into the artwork that decorates your home. The canvas is eco-friendly and for every canvas order a charitable donation is made to the Susan G. Komen Breast Cancer Foundation. In September of 2011, I lost my mother-in-law to cancer. I know first hand how devastating cancer can be to a family. For every canvas order a charitable donation is made to breast cancer research. All of the my canvas is printed with eco-friendly ink and reforested products. Optical Brightening Agents (which can turn yellow overtime) are never used in our canvas prints. 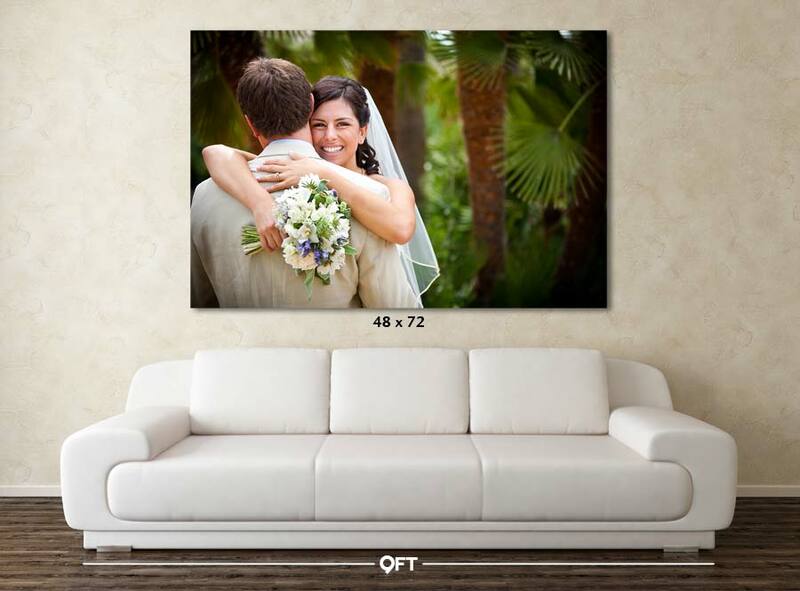 Gallery Wraps are printed directly on fine art canvas and are mounted on a 1.5” deep frame. These works of fine art have a seamless design and a matte finish. All of our canvases also have a UV coating to protect against light damage. 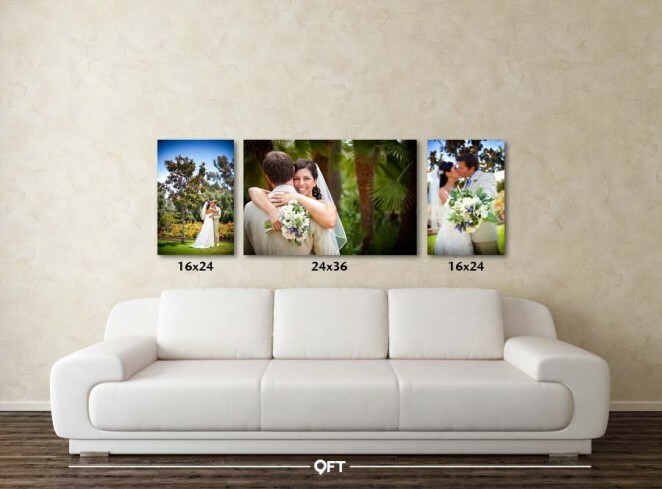 Here is a representation of different canvas sizes to scale to help you visualize what your photos could look like on your wall. Where you decide to display your prints will dictate the appropriate sizes for your prints. 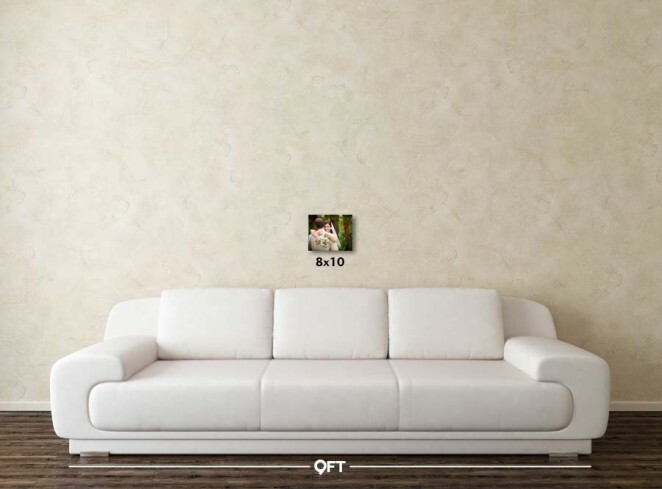 Obviously, the 8×10 shown below is dwarfed by the sofa when it is alone. 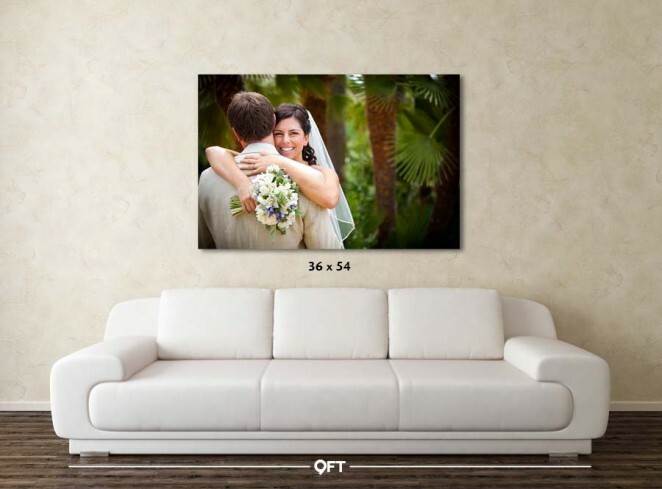 However, an 8×10 can fit quite nicely over a sofa if it is appropriately placed within a cluster of complimenting canvases. (1) Measure your wall – after you know the size of the space you’re working with, you can then decide what “cluster” would best work within your space. (2) Decide which photos you absolutely love because the photos you put on your wall will become part of your family’s legacy. 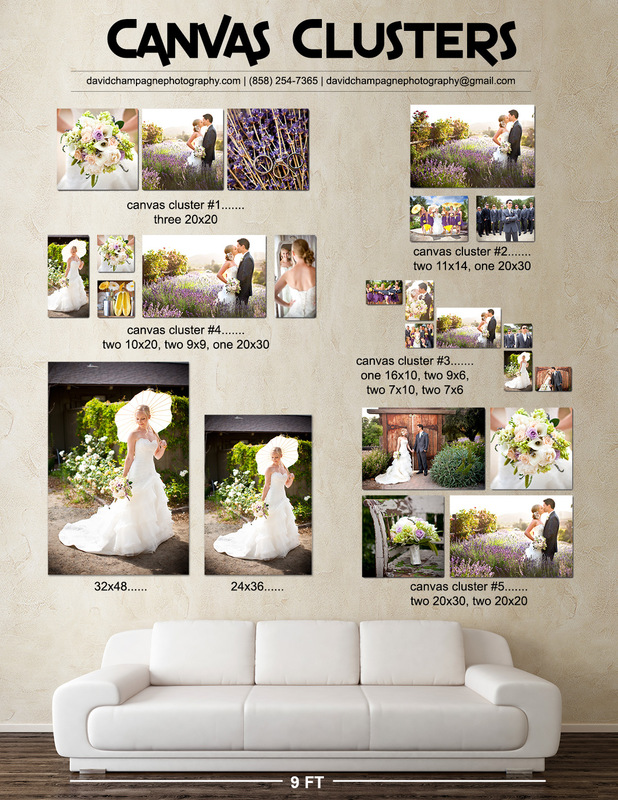 (3) Visualize a variety of different canvas sizes and arrangements to best capture your memories. Below is a canvas cluster consisting of three canvases: one 24×36 and two 16×24 canvases. Below is a canvas cluster consisting of five canvases: one 24×36, four 16×24?s, and one 16×20 canvas.